Update: I’ve used one time Shakeology with 21 Day Fix you can find my experience here. 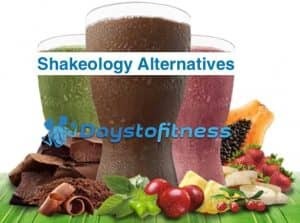 Today I recommend cheaper and as effective meal shakes for weight loss, you can find more at my popular article “Shakeology Alternatives”. With a very large percentage of the world’s population overweight or even obese, lots of people are interested in diet and weight loss. There are lots of diets that can help you lose weight or maintain your current weight and some are better than others. One type of diet is especially easy to implement and follow – meal replacement diets. This type of diet involves drinking a nutritionally balanced shake instead of a meal several times a day. One such meal replacement shake is Shakeology. 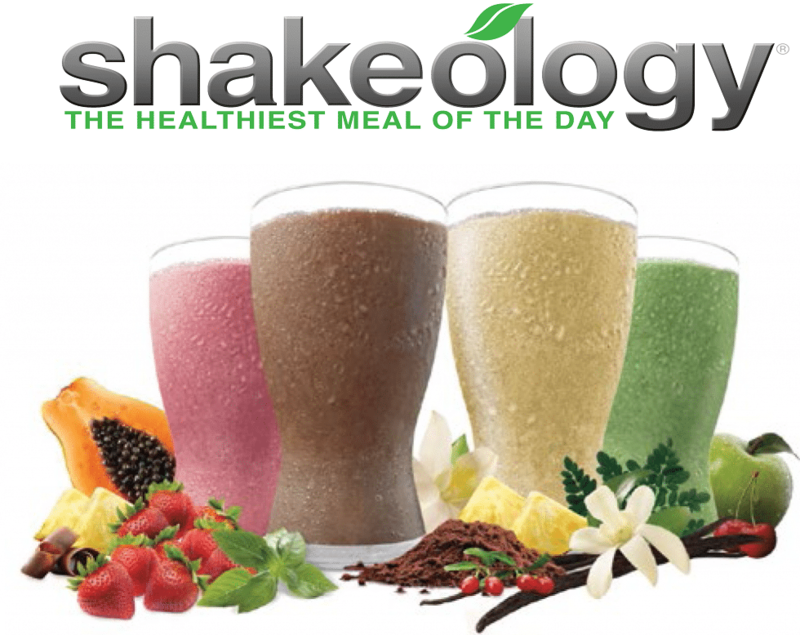 Shakeology is essentially a calorie-controlled meal in a glass. It contains everything you need in a weight loss meal but requires virtually no preparation; just add water and shake! This makes Shakeology a very effective and convenient way to lose weight. Containing a wide variety of healthy ingredients, Shakeology is not just low in calories but also provides adequate quantities of protein, carbohydrates and healthy fats to ensure you feel energized and full. Packed with essential fiber as well as probiotics to keep you healthy on the inside, Shakeology takes the guesswork and effort out of planning healthy, fat-burning meals. This makes it ideal for people who want to lose weight but do not have the time to shop for and cook regular meals. The premise of Shakeology is simply; replace one or several means per day with a Shakeology shake and make any other meals that you eat light and healthy. This creates an energy deficit which will lead to easy weight loss without having to resort to time-consuming weighing and measuring your food. My personal experience doing 21 Day Fix with Shakeology here. Whey protein isolate – a high quality protein that will help keep you full, boosts your metabolism and helps preserve muscle mass. Antioxidants, vitamins and minerals – all essential for health, support your immune system and help fight free radical damage which is a leading cause of aging and many illnesses. Prebiotics, probiotics, and digestive enzymes – improving your intestinal and digestive health will help make you a more efficient fat burner and improve your immune system. Most modern foods are actually bad for digestive health but, because of these ingredients, Shakeology isn’t. Adaptogen herbs – traditionally used in Chinese and Indian medicine, these special herbs help your body cope better with stress which is essential for physical and mental wellbeing. If you want to learn more about the ingredients in Shakeology, check the article “Shakeology Ingredients”. From a nutritional standpoint, Shakeology is very well balanced. It’s amazing how much nutrition is actually contained in a single serving! Unlike some similar products that contain a lot of empty calories and low quality ingredients, Shakeology provides all of the nutrients your body needs to stay healthy while losing weight. 160 calories – Shakeology is low in calories which is why it helps you lose weight. Replacing a meal that contains, for example, 600 calories with a 160 calorie Shakeology drink means you’ll save 440 calories per meal so if you do that two or three times a day you can easily lose several pounds per week. 1 gram of saturated fat – the so-called bad fat, saturated fat contains a lot of calories and if you want to lose weight it makes sense to keep your saturated fat intake to a minimum. Shakeology is naturally low in saturated fat. 1 gram of mono and polyunsaturated fats – these two fats are the so-called healthy fats and are good for your heart. Although Shakeology is a low fat product, it contains small but meaningful amounts of these good fats. 17 grams of carbohydrates – carbohydrates provide your body and brain with energy. Some diets are very low or even devoid of carbohydrates but this can lead to very low energy levels and cravings for sugar. The carb content in Shakeology will keep your blood glucose levels stable so you feel and function your best. 17 grams of protein – protein is essential for several reasons; it helps keep you feeling full, it keeps your muscles in good shape and it helps you recover from exercise. 17 grams of protein is approximately same amount of protein as you’d get from three eggs but without the fat, cholesterol and calories. 150 mg of sodium – sodium, otherwise known as salt, can elevate your blood pressure and cause water retention which can leave you looking puffy even as your weight falls. Shakeology is a low sodium product so it’s not going to cause either of these problems. 6 grams of fiber – fiber is filling and good for your digestive health. Many people find that they stay fuller for longer after drinking Shakeology and that’s down to the high fiber content. Processed foods are often low in fiber and that can lead to issues like diverticulitis – an unpleasant digestive system condition. The fiber in Shakeology can help prevent this disease. 100% of your RDA of vitamins A and C – vitamins are essentially the sparkplugs that keep your body working properly. Essential for every function in your body, getting enough vitamins can be hard even if you eat a lot of fruit and vegetables. Shakeology is fortified with vitamins so you can relax knowing you are getting plenty of what your body needs to stay healthy. It’s easy and convenient so you are more likely to stick to the Shakeology diet and when it comes to losing weight, consistency is the key! While there are other diets you can follow to help you lose weight, meal replacement diets are arguably the most straightforward and convenient. No weighing of food, no special ingredients to buy, no complicated meals to cook – just replace some of your normal meals with Shakeology and you’ll lose weight fast. 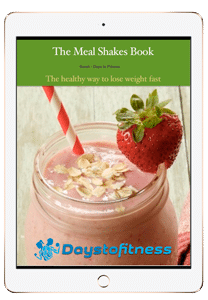 You can find the guide I’ve used to lose weight with meal replacement shakes here. Are any Shakeology substitutes worth it? There are some Shakeology substitutes out there that promise the moon and the stars when it comes to results, and honestly some of them are pretty reasonable. I’ve make a complete research to find Shakeology substitutes that have a rock solid reputation in the weight loss community, you can find my shakeology alternatives here. Of course, you’ll also have the opportunity to create your own homemade meal replacement shakes with your favorite ingredients and a solid protein powder. That’s definitely another direction that you can go in if you aren’t wild about everything that Shakeology brings to the table. How to lose weight with meal shakes ? Why don’t you start today a plan to lose weight with meal replacement shakes ? I’ve shared mine with all the steps you need ! To help get you jumpstarted along your journey with Shakeology we’ve come up with some pretty solid recipes that we think you are really going to enjoy. Some of these we’ve been working on ourselves, and others with “lifted” from sources all over the web. A little bit of research is going to turn up more Shakeology then you know what to do with, but having more options is always better than having too few! Try out a couple of them yourself and make sure that you’re prepared to work them into your regular rotation. These are some pretty tasty recipes, after all. My replacement shakes recipes that I use everyday.